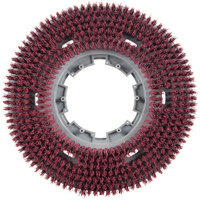 Baseboard rotary floor machine brushes are ideal for cleaning vinyl baseboards and other soft surfaces without messing up delicate finishes, while mal-grit floor scrubber brushes feature tough bristles that can remove dirt and grime from grouted surfaces. 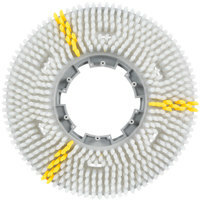 Our scrubbing brushes are extremely versatile and can be used to remove heavy dirt and scuff marks from a range of hard floor surfaces, including marble, stone, concrete, and tile. You’ll also find shampoo brushes that are ideal for cleaning carpets, and we even carry polishing options that give floors an attractive shine. Also make sure to check out other great items from Carlisle and Oreck. 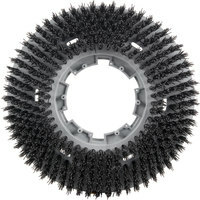 It’s important to choose the proper rotary floor machine brushes for your establishment’s floor types. If you pick a pad that’s too soft and gentle, then it will have no effect, and you will waste time and effort. However, if you go with a brush that’s too aggressive, you can cause damage to your floors, resulting in expensive repairs. For more great supplies to use when cleaning floors, check out our hard floor cleaning chemicals and polishes, mops and mopping accessories, and wet floor signs. If you're wondering where to buy carlisle rotary floor machine brushes, we have a large selection of carlisle rotary floor machine brushes for sale at the lowest prices.